These 9.75 inch long, double decorative iron curtain rod brackets for 1.375 inch thick iron curtain poles are available in five finishes: antique pewter, black chrome, black, brass and mirror chrome. 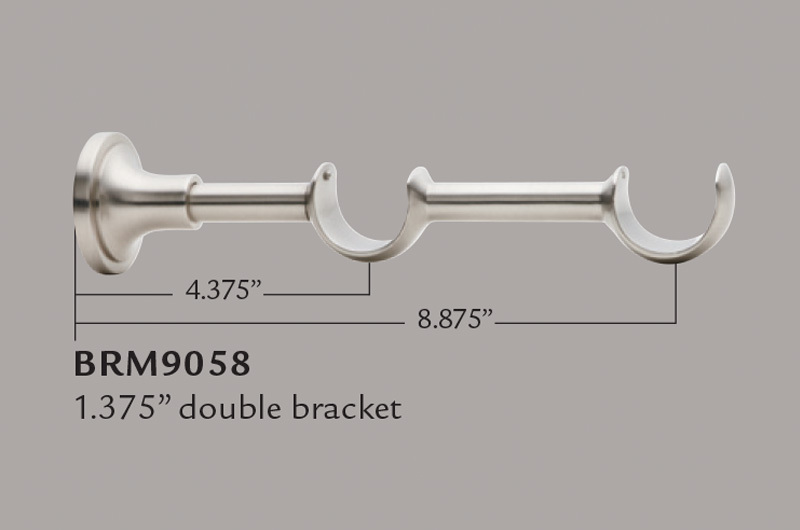 Question: How far apart do I have to place curtain brackets? Answer: The spacing between brackets will depend on the wight of your curtains as well as the condition of your drywall. Usually old homes have weaker drywall and may require more brackets. 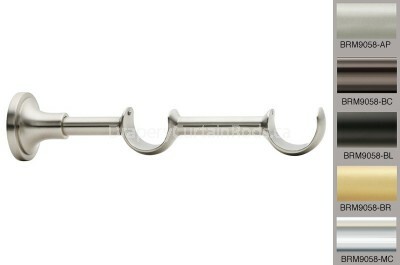 In most situations the rule of thumb is to have a curtain bracket every 4 feet. An exception is when using a 6-foot rod, in which case you can usually get away with using only two curtain brackets unless your curtains are very heavy. If this is the case then you may need an extra bracket in the center for added support.